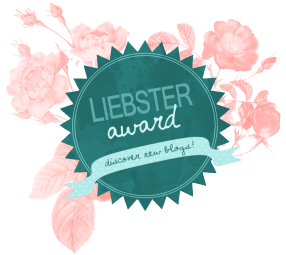 A few months ago, Mia of The College Chick Chronicles nominated me for the Liebster Award, which is an internet chain-based award given to newish bloggers to help them form connections with other bloggers. The nomination came as such a surprise because I’m not an everyday blogger and I had never heard of the award before. A few weeks later, the lovely Klaudia from The Observant Girl Book Reviews nominated me again. *Note: Since this award has apparently been around forever, different bloggers follow different rules. So do whatever you like! These are the questions I was asked by Mia. 1. What is your favourite TV show? Anyone who knows me knows I’m a reality TV junkie, but my favorite TV show is actually plot-based. Reign, which is in its second season and airs on the CW network, is my favorite TV show right now (though I’ve fallen quite behind since February). 2. What is your reading life like? I would say I’m a pretty big reader. I don’t read as much as a lot of serious book bloggers (huge props to them), but I definitely read more than most. I struggle with consistency, often reading many books in a short amount of time and then going several weeks without reading anything. Right now I’m in the former stage, but this year I’ve made it a goal to read a bit more evenly throughout the months. 3. If you could be anything (no monetary or physical limits), what would that be? I’m assuming this question is referring to career, though if I could change into an animal I’d pick tiger and if I could have a superpower I’d pick flying or fluency in every language in existence. But in terms of career, I’d want to be the general manager of an NHL team or be either a CEO of a big fashion house or an editor-in-chief of a major fashion magazine. Basically, a high-ranking, high-paying, fun job that would allow me to travel and do what I love every day. I started blogging back in 2012 because I thought I wanted to be a journalist for a fashion magazine and wanted to get some practice writing. Now, I don’t think a career in writing is a good fit for me, so I just blog for fun. Blogging has always been a form of expression for me, a creative outlet for me to write, rave about books, share fashion trends, or document my life. It’s something I struggle to do regularly, no matter how hard I try to set a schedule, but I enjoy doing it and that’s what matters most. I honestly don’t think I have a guilty pleasure because all of the “weird,” obsessive things I love or do, my friends already know about. And it’s only a guilty pleasure if you enjoy it but fear other people finding out. Does daydreaming count? 6. The next book on your TBR list/shelf? Franny and Zooey by J. D. Salinger because it’s my local book club’s April pick. I’ve got about a week to read it and it’s fairly short so I anticipate actually attending book club this month… Yay me! 7. What daily essentials do you keep in your book bag/purse/pockets? I always like to have hand sanitizer, deodorant, chapstick, a brush, headphones, my phone, a water bottle, wallet, keys, and a book or some homework with me at all times. I recently went to a baby shower and won the competition for “most stuff carried around in a bag on a regular basis.” And those are just the essentials. 8. If you could live anywhere in the world, where would that be? Ah, there are so many places I want to live. Right now I would say London, Paris, or Montréal, though I’ve been to none of them. If I had to choose a place I’ve been to, I’d say New York City or Boston. But there are literally so many cities- and rural areas- that I’d like to visit or live in! 9. Tea or coffee? What kinds? Tea, definitely tea. I love all kinds of tea, but chai tea, thai tea, boba tea, and green tea are my go-tos. Occasionally my mom will make a special Russian tea that is absolutely divine, and of course I love holiday/seasonal teas as well. 10. Some new activity you would like to try or are currently trying? I’m learning how to ice skate! I started lessons a few months ago with the woman who taught my hockey-playing brother how to skate. I wear hockey skates and can do crossovers, stops, turns, and even a little backwards skating. I’m not super good or anything and I probably look like an ungraceful elephant out there on the ice, but it’s nice to learn something new and challenge myself in a different way. These are the questions I was asked by Klaudia. “We read to know that we are not alone.” (C.S. Lewis), and “Those who don’t read good books have no advantage over those who can’t.” (Mark Twain). 2. Favorite genre to read? Why? I read from a wide variety of genres and subgenres, but my favorite is probably young adult fantasy. I’ve been reading young adult almost exclusively since 6th grade and fantasy since first learning to read. YA is relatable and fun and fantasy is an imaginative escape. Some of the best, most well-written books I’ve read are young adult fantasy novels. 3. If you could travel anywhere in the world right now, where would you go? My first response in a heartbeat is Paris, closely followed by London. However, since I’m fortunate enough to be traveling to both cities this summer, I’ll say Australia or South Africa. They’re both on my bucket list. I answered this earlier- Reign! I tend to have favorite series more than favorite books since I’m mostly a series reader. I’m going to skip over the givens- Harry Potter, Percy Jackson, etc. (don’t worry, I still ADORE those)- and name some slightly less well-known favorites. Revolution by Jennifer Donnelly, Just One Day by Gayle Forman, and the Throne of Glass series by Sarah J. Maas. Reading or watching hockey. That’s about all I do. I like to read before bed unless it’s 2 am on a school night and I’m utterly exhausted. I usually read on my bedroom floor. I like to read in solitude and in private, with a large chunk of free time available for dedicating solely to whatever book I’m reading. I often think aloud when reading and will laugh/cry if necessary (which is why reading in public places like school or on airplanes is a struggle). I like to read one book at a time and if I can’t get into a book, I will usually put it down and pick up something else instead. 10. Which book broke your heart in half? I’m assuming this question refers to the most recent book that broke your heart. For me, it’s All the Bright Places by Jennifer Niven. 11. What are your pet peeves? My biggest ones are talking with food in your mouth, chomping gum, shirking responsibility, and public group gossiping. Also, when someone takes on a particularly (and unnecessarily) judgemental tone or facial expression. And I’m bothered when people assume you are of a certain religion unless you specifically state otherwise. Close-mindedness kills. 2. I’m descended from Pocahontas. 3. Red and purple are my favorite colors. 4. I prefer British spelling to American. 5. I am a huge fangirl. 6. I love to travel and want to see as much of the world as I can. 7. I am a hockey FANATIC. 8. History is my favorite subject. 9. I am fascinated by languages and want to study and gain fluency in several. 10. I have three siblings. 11. One of my biggest bucket list items is traveling through Germany and Poland to visit major WWII and Holocaust sites. 1. Are you a city person or a country person? 2. What is your dream vacation destination? 3. What is your favorite sport to watch? 4. How many books have you read so far this year and which was your favorite? 5. If a film adaption of a book comes out, do you read the book or see the movie first? 6. What song(s) are you listening to on repeat right now? 7. How many different countries have you visited? 8. Name your favorite author, favorite musician/music group, favorite book, and favorite movie. 9. If you could be one animated Disney character, who would you be? 11. What’s your favorite quote (from a book or otherwise)? 9. Anyone who reads this post and wants to do it themselves, I nominate YOU! 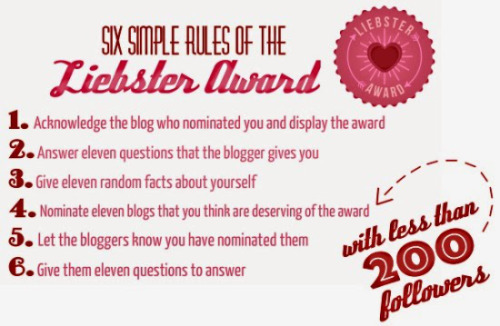 I apologize if you’ve previously been nominated or have already done a Liebster post. I know many of the Lit Up Review girls have already done it! When I was nominated on Instagram (by someone I haven’t spoken to in three years) to do the ALS Ice Bucket Challenge, I groaned. It was a Sunday morning, the second to last day of summer break, and the last thing I wanted to do was pour a bucket of ice water over my head and post the video on social media. I spent the morning worrying about when I would do the challenge, who would film it, what I would wear, blah blah blah. Then I went to a friend’s pool party where, coincidentally, a few others had also been nominated. We were already in bathing suits, so we used a cooler of ice to fill buckets of warm water and filmed each other completing the challenge. It ended up being a lot of fun, with everyone gathering around to watch and laugh when each person squealed from the cold. I realized afterwards that the ALS Ice Bucket Challenge is not something to dread or worry over. It is a silly task that takes about five minutes total to prep, film, and upload. When I did it on a whim at the party, I couldn’t take myself too seriously- in fact I was laughing in the video. I didn’t worry about what I wore or said or looked like. I ended up really glad that I had been nominated, because I had a lot of fun doing the challenge and I made some funny memories. Plus, I helped raise awareness about ALS, and how could I regret that? 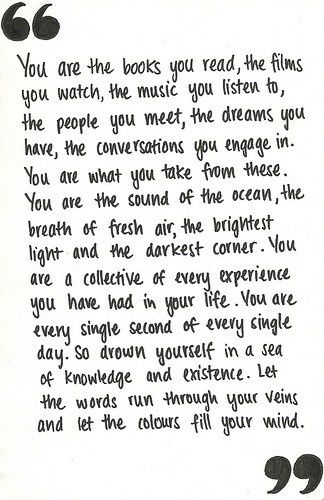 This challenged helped me let loose and learn a little bit about “don’t sweat the small stuff”. For that, I am grateful. The rules as I understand them are simple: if nominated, you must complete the challenge and post it within 24 hours. If you refuse the challenge, it is requested that you donate money to an ALS foundation of your choice. The goal of this campaign is to raise awareness about ALS. I think the Ice Bucket Challenge is a great idea, and many people I know have done it. According to the ALS Association, this challenge has been wildly successful in the U.S. so far, raising over 10 million dollars. Well over 300,000 videos of the Ice Bucket Challenge have been uploaded to Instagram. Many prominent people have done this challenge, including Bill Gates, Martha Stewart, and Ethel Kennedy. Even Justin Bieber completed the challenge… twice! President Obama declined the challenge, instead pledging a donation. Either way, awareness about ALS is being made and donations will provide massive funding for ALS research. To this, I say bravo.